The Queensland Rocketry Society Inc. (QRS) would like to cordially extend to all interested persons and members of the Australian Rocketry community an open invitation to join with us for our March launch. This will be a public open launch day. For those who have not experienced one, it is a chance for the QRS to display the pastime of rocketry to the public. The event has been advertised to many media outlets including newspapers, TV and radio. Based on past experience, we can expect up to 1,000 visitors. The launch program will be similar to the usual non advertised events but with a few more special launches. One super special event for March will be the launching of Nic Lottering's 3.5 metre Sledgehammer rocket on an M (that's big) motor. This will be a exciting experience. The launch will be conducted at our LA2 site (details are located in this web site). Public parking will be in Cedar Grove Road. Today's launch provided fantastic conditions. The sky was cloudless early on with little wind making for easy tracking of launched rockets. Light clouds arrived mid-morning but still no wind. The temperature was certainly more pleasant than the sweltering conditions of January. There were 53 launches for the day including a number of cluster and staged launches. Mark Parsons had some trouble with igniters for his Heli Roc but finally had it airborne after three attempts and entertaining everyone with the 'helicopter' recovery. Aldo’s Torpedo and Jack’s Riptide had a drag race on C6-5 motors. Not too sure who won but both launched simultaneously. Warren’s Metallic Blue took off vertically but suffered a ‘directional correction’ and headed off towards the trees making for a long retrieval walk. Matt Barton’s Intruder lifted off on the largest motor of the day on a J354. There were many younger fliers launching on A - C motors with the usual enthusiasm and delight with their successes. The number of maiden flights for rockets indicated that the interest is continuing. The next launch is a public open day. There will be many visitors to the launch site. 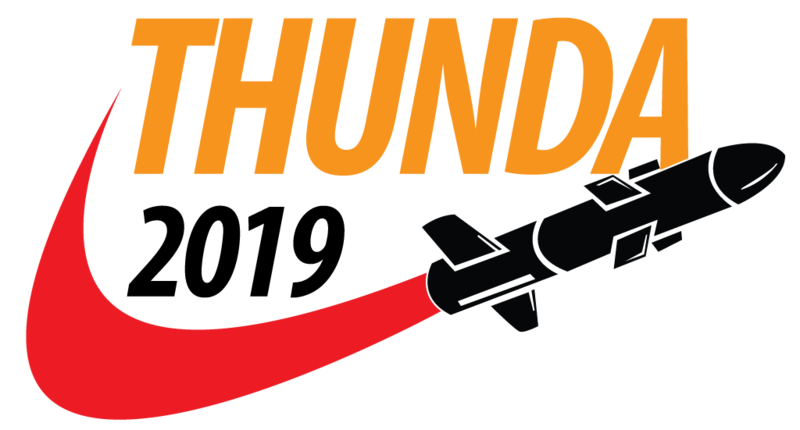 Many of the fliers will bring out their biggest, 'baddest' rockets with the more exciting motors. There's a rumour that Nic Lottering will be attending launching his 3.5 meter Sledgehammer on an M motor. That will be something not to be missed.